Learn Why The Duck Makes a Difference! The most convenient, least expensive and fastest way to wash! Wash as much as you want for one low monthly price. 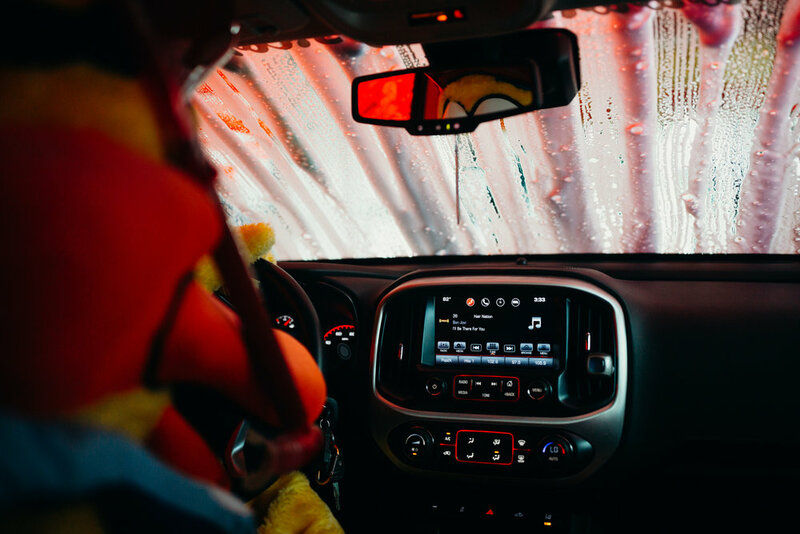 Starting at just $22.99 per month with no long-term contract, there is no better way to #DriveCleanDriveHappy than our Unlimited Wash Club. We are proud to be a local, family-owned & operated business. Along with the privilege of serving you, our terrific guests, we feel a responsibility and an honor to also serve our local team, our community & our world. The Sudsy's experience is all about our fantastic team! We offer competitive wages, monthly bonuses, ongoing training and flexibility. We are blessed to have the best crew in the business. If you're interested in joining the team, click below. Sudsy's offers multiple ways to help charities and nonprofits raise both money and awareness. Learn about some of the great community organizations we've been able to help over the years and check out the great fundraising options for your organization. Sudsy's saves millions of gallons of water every year versus the sames cars washing in their driveways. We thought what a cooler way to connect the dots than to help provide clean water for those in the most desperate need. We give a portion of proceeds from every car washed to help fight global water issues. No buckets. No hoses. More money! Part of our mission and DNA is to help local charities and nonprofits raise both money and awareness. Whether it's a gift basket for a silent auction, a gift card for a door prize, or your organization selling passes to raise literally thousands of dollars, we love to support our community! The most environmentally friendly way for you to keep your vehicle clean. While a typical driveway wash uses about 80 gallons of water, Sudsy's use an average of only 23. That's 57 gallons of fresh water saved on EVERY wash! We use only eco-friendly, bio-degradable soaps and cleansers. Plus, we're helping to keep the Harpeth River, Carter's Creek, Duck River and Stone's River clean! SO at SUDSY’S, NOT ONLY ARE YOU DOING SOMETHING GOOD FOR YOURSELF AND YOUR CAR, YOU’RE DOING SOMETHING GOOD FOR THE ENVIRONMENT! We are a proud member of the International Carwash Association WaterSavers! The WaterSavers® program recognizes professional car washes for water conservation and environmental protection, and is committed to educating consumers about the car wash industry’s environmentally responsible business practices. Visit the WaterSavers® website here. We will never sell or giveaway your email address.